3" Memory Foam Topper. Most people complain that their mattresses are too firm or too soft. Our toppers make every mattress just right. Some customers even use toppers right on the floor as a last minute guest bed! Memory foam will increase circulation, contour perfectly and mold to your body, reducing pressure points to give you the restful sleep you need. 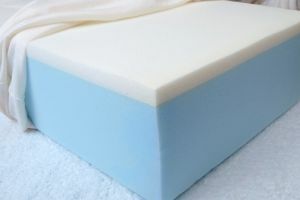 This unique Memory Topper is an extremely strong high-density 100% visco-elastic foam which molds to every curve of your body for a soft supportive pad. This foam is temperature sensitive. It's like no other sleep product you've ever felt before.